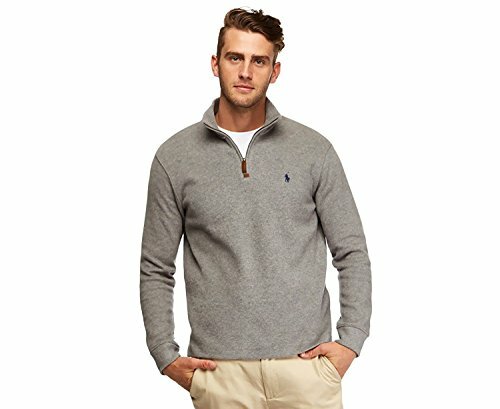 RALPH LAUREN Polo Men's Half Zip French Rib Cotton Sweater (X-Large, Light Grey) | What Should I Say? Free Shipping Included! RALPH LAUREN Polo Men's Half Zip French Rib Cotton Sweater (X-Large, Light Grey) by RALPH LAUREN at What Should I Say?. Hurry! Limited time offer. Offer valid only while supplies last.